This IS the way to burn a DVD!!! Which Free DID has better call quality for you? 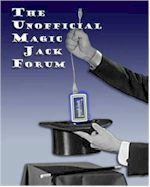 Auto Dialer Used With MagicJack for Predictive Dialing! [ Poll ] Vista? Still crap? [ Poll ] Should I get another year?